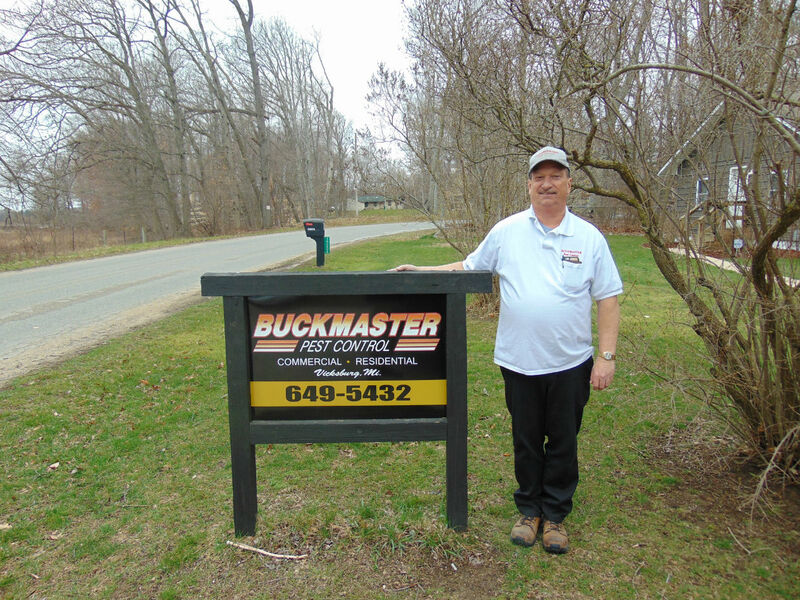 Since 2000, Buckmaster Pest Control has been family owned and operated by Kevin Buckmaster, a licensed and insured pest control specialist with 25 years of industry experience. When you call on Buckmaster, Kevin will provide honest solutions for your commercial or residential pest control problems. You always deal with the boss, so you’re sure to receive quality, dependable long-term service. Whether your home or business is being pestered by mice, ants, earwigs, spiders, ladybugs, or bees, Asian Beetles, Box elder, Fleas, Ticks and more, Buckmaster Pest Control has the industry knowledge to cleanly and safely address the problem. The only reason you will know Kevin was there is because your pest infestation will be gone! To eliminate a pest, rely on the best. Call Buckmaster Pest Control at (269) 649-5432 to have Kevin safely address all your commercial or residential pest control needs.